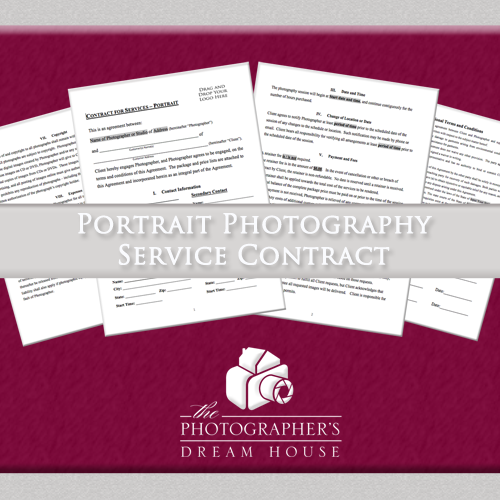 This bundle includes both service contracts, one for Portraits and one for Weddings. Save over $35 by purchasing both together! 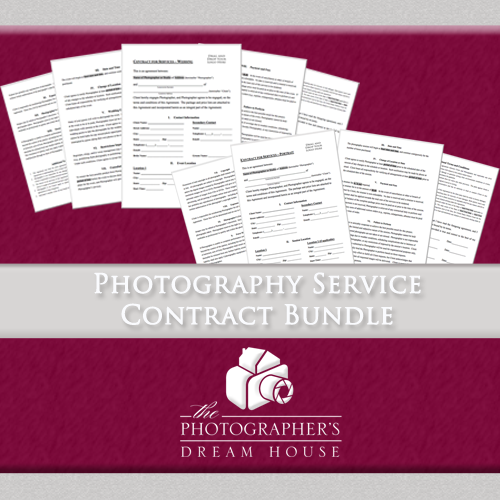 Why does my photography business need a Service Contract? Not only will these documents cover you legally in case something happens to the images, but it will also cover provisions regarding turn-around time, cancellations, payment schedule, and coverage. You want to be protected sufficiently if someone cancels their session or just plain doesn’t show up. You want your clients to be on the same page as you regarding when they can view their photos. All of these important issues are covered in the Service Contract documents to protect both you as a business owner, and your clients. What can happen if I do not use a Service Contract? More commonly, though, a Service Contract will be most useful to communicate your business’ provisions regarding cancellation policies, payment and fees, copyrights, completion schedule, proofing, and protections for you. 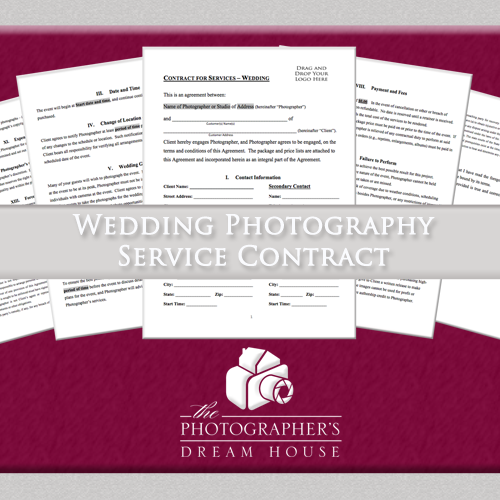 The Wedding Service Contract also covers provisions specific to weddings, such as policies regarding wedding guests, restrictions imposed by third parties, and consultation prior to the wedding.